Named after the grey, green and cream opal found in the South Australian mining town of Coober Pedy, Greybilly brings together work by Abigail Varney (Melbourne) and Nina Baker (Sydney). 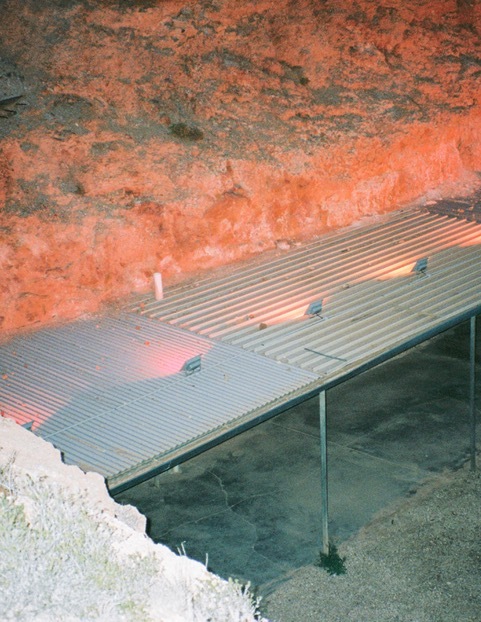 Photographs by Varney present a vivid perspective on depleting resources in Coober Pedy. Conceptual jewellery by Baker sees the transformation of disposable plastic containers into objects of beauty. Curated by Yasmin Masri, Greybilly explores the search for, and creation of, what’s precious; and the reality of finite resources. When: On exhibition until Saturday 29 September. Nishi Gallery is open 11AM to 3PM, Wednesday to Sunday.